e-Mail Broadcasts at their worst! If You See Stuff Anything Like This, They’re Scams! Unsubscribe, About Face and Don’t Look Back! 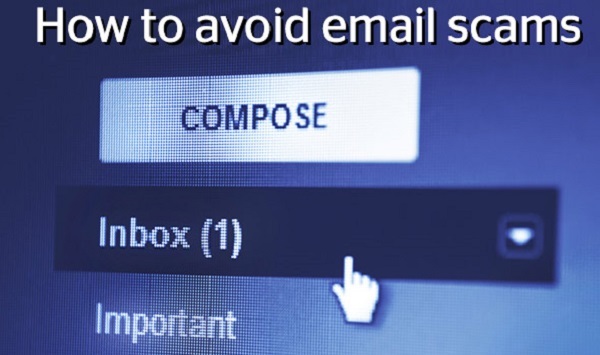 e-Mail scams are not just your phishing, spoof, and Nigerian-type junk mails you may get in your inbox, stuff you’ve never asked for and the obvious spam mails you get. They also come in other flavours, such as the e-mail broadcasts you get when you see something that appeals to you, usually some sort of proposed opportunity or shiny object and you click on it to learn more about it. As an expert on malicious advertising, especially as it is on the Internet, it’s this type of e-mail I would like to address, as this is responsible for a very significant amount of fraud found on the Internet today! Since I started this website, or converted it from a personal blog to what it is now, I’ve reviewed a number of VERY bad products that have folks leaving comments on each of these, reports of not getting their goods, and worse, getting them and finding out that they’re pure junk! One of the ways I assess products and services is through the advertising campaigns that go with them. It is generally helpful to know about the tricks of the advertising trade because they are a dead giveaway to the product’s nature and quality. An awful email sequence that has been used on folks already! 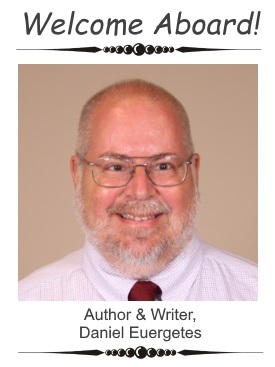 At the time I originally prepared the table below, it was part of another blog. This was way too long and I needed to chop this segment off. It was originally written in May 2014. What you’re reading right now is current and is a short explanation of the the sequence below. This e-mail sequence belongs to the Simple Cash Code product that launched early this year. It is important to note that the following emails (put on textured backgrounds to make the page look more attractive) were prepared and already extant before the product was launched for the first time! You will see why when you get down into the table below. Here we get our first clue about this product. 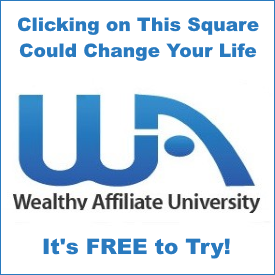 One of the major tenets of a get-rich-quick program is how easy, how simple, how fast it is for consumers to make huge windfalls of money with a few clicks of the mouse. 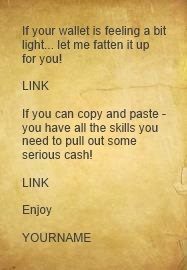 Copying and pasting” rarely, if ever, leads to vast winfalls of wealth! Real business takes time and hard work. Creators of inferior and worthless products MUST rely on appeals to emotion. In this case, the consumer’s emotion is aroused by the curiosity factor – often used in advertising. Outstanding and timely products and services rarely come with this kind of hype. What’s this code all about? What’s in the bonus? It’s just the beginning…there’s more rotten ingredients in this soup! Two things SERIOUSLY wrong with this one! The language sports futuristic present. You can be sure these folks don’t exist. Remember, it hasn’t launched yet. 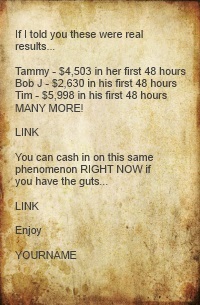 It’s a lie – a vintage Get-Rich-Quick Scheme! This implies that if you DON’T get this, you’re a coward! Nobody wants to be one. Here we have another appeal to emotion – the fear factor. The misspelling better represents this promotion! The product probably won’t last long. Tells me this was hastily put together. This is a feeble attempt to win over consumers’ heart. See how they want us to reciprocate? Sadly, product good or bad, it works. My question is – What “cause” are consumers helping? I know – line Stephenson’s pockets with money! Anyone who believes this crock of horse excrement deserves to have wallet problems! Stephenson will be the only one with the fat wallet I’m afraid. I think I’m going to have a LOT of fun with the actual sales videos and the product itself when these come out. Take fair warning! There are going to be “reviews” out there upholding this rubbish. Don’t fall for them! Behind the scenes, inside the JV area (where promoters find tools they need to promote a particular product or service) the author, product’s producer or affiliate network being used to support the product’s promotion and sales, offer what’s called “e-mail swipe files.” As noted above, these are usually a collection of any number of pre-written e-mails available to affiliates, who then, use them in their e-mail lists. When you become interested in a certain product, usually, it’s these type of e-mails you get in your inbox. They are not all bad. 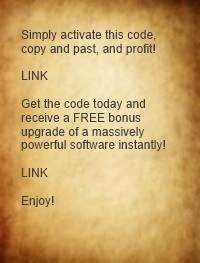 This is an acceptable marketing method that is used by most Internet marketers who have e-mail lists. But they can be abused, and often are! 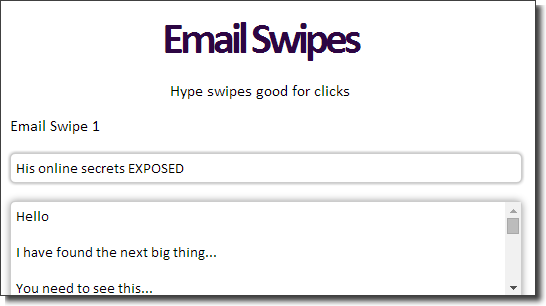 In the example above, (I don’t remember the name of the product at this time) the producer (Travis Stevenson) blatantly reveals that the collection of e-mails headed by “Hype Swipes” feature e-mails just like the ones above in the table presented. They’re designed to appeal to your emotion and not your intellect. They’re covert and coercive! Okay, we are now probably on the same page with regard to what to look for in e-mails you get. See language like this? It usually means that what you’re heading for is separation from your money with little to nothing to show for in the way of the purchase! 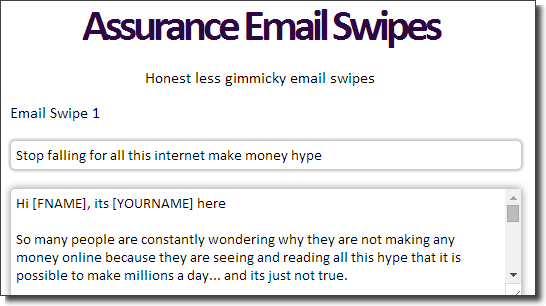 Sadly, the hype-swipe flavour of e-mail broadcasts work well because most people do not know how they work and how they get into the subconscious mind of prospects who are interested in the bait being presented. They have been around for some time now, and alas, before the Internet was born in the present form that we have today. It’s propaganda and is made to cover up malicious products that they promote. They forgo the use of hype in the broadcasts, and in fact, is why they’re called “assurance swipes.” Some folks are very onto the hype scene and are not fooled by them. These emails are exceptionally dangerous because the masquerade bad products even more effectively than the hype varieties simply because they invoke trust from those that get them! In this case (please note the second image just above) appearing just below the hype swipes on the same page in the promotional tools area, the set of emails (note the beginning of the e-mail swipe that is visible in the image) directly contradicts the concept of hype! 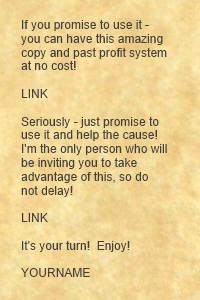 Travis Stevenson here, presents a very dirty approach to gaining a larger audience to sell his malicious wares to! Many equally-unscrupulous affiliate marketers that have no qualms about the products they’re promoting and how bad they are, laugh when they see this type of offerings. The above was presented to help educate you and help you recognize trouble areas in the products and services that may be interesting you. I invite you to check out the related content at the very bottom of the page below. If you are looking for a healthy, ethical and totally legit way to make money, please check the signature box (image) at the bottom of this page just above “Related Content.” If you are willing to learn and apply yourself, the link will take you to a review on this site where you can learn more about it. I am currently a proud member of the community on the other side. I promote ONLY top quality, ethical programs, products & services that don’t resort to the schemes so often associated with inferior products online. Outstanding products and services do not need to resort to such marketing methods and it is the purpose of this website to help the prospect become able to recognize trouble when he or she comes upon it, because it’s not always easy to spot – unless you know what you’re looking for! Thank you for taking the time to read this blog post! 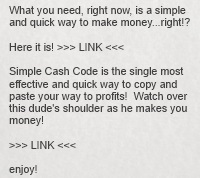 Simple Cash Code Review: This Is a Rip-Off – Stay Away!